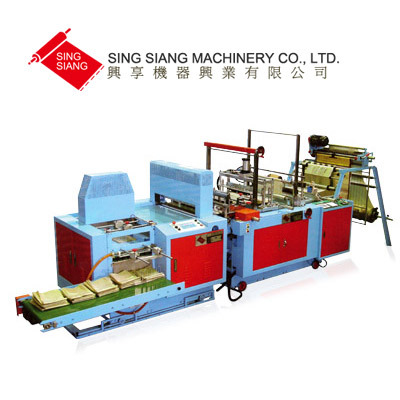 SING SIANG MACHINERY CO., LTD.
1. Servo driven rolls prouder smooth consistent bag delivery and precise cut offs. 2. 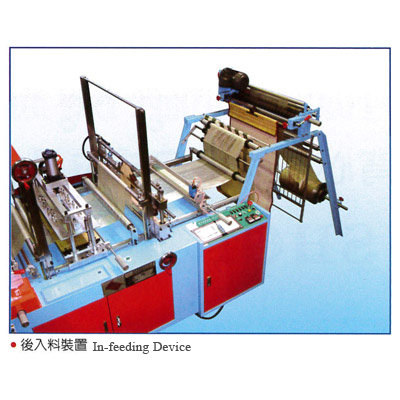 With this sealing & cutting machine, each sheet folds automatically. It saves time and labor. 3. Number of sheet to be processed can be set with Auto-Digital Counter. 4. 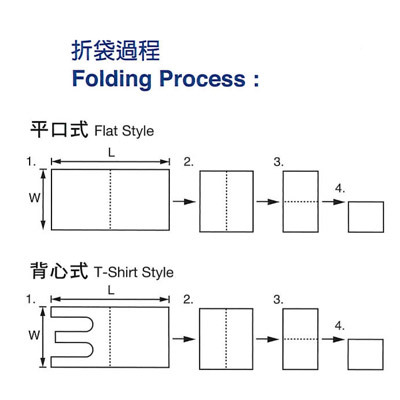 Depending on width, bags can be folded in three or four to speed up packaging. 5. Easy to adjust using pneumatic controls with electromagnet. 6. 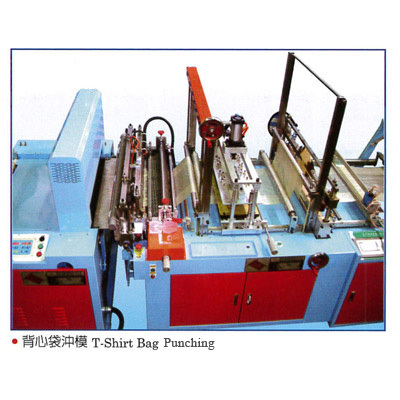 Removable T-Shirt bag punch and power roller. 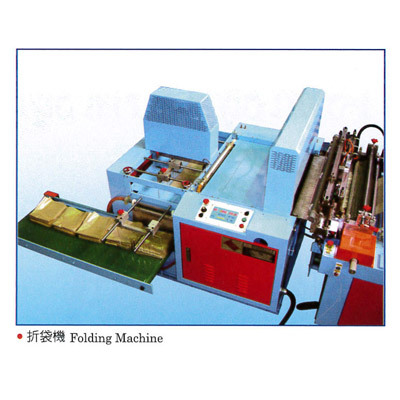 Copyright © SING SIANG MACHINERY CO., LTD.